We go hands on with Ubisoft's big game and sit down with Philippe Therien to discuss the state of shooters today, piracy and smoked meat sandwiches. So far so good, many Xbox 360 owners will be saying to themselves, but what about PlayStation 3 owners? Will they be left as disappointed this year as they were last, when Vegas arrived in a less polished form on Sony's then-new console? To find out more about this and much more, we sat down with Philippe Therien for 10 minutes to talk about Rainbow Six, piracy, and Montreal's finest cuisine. 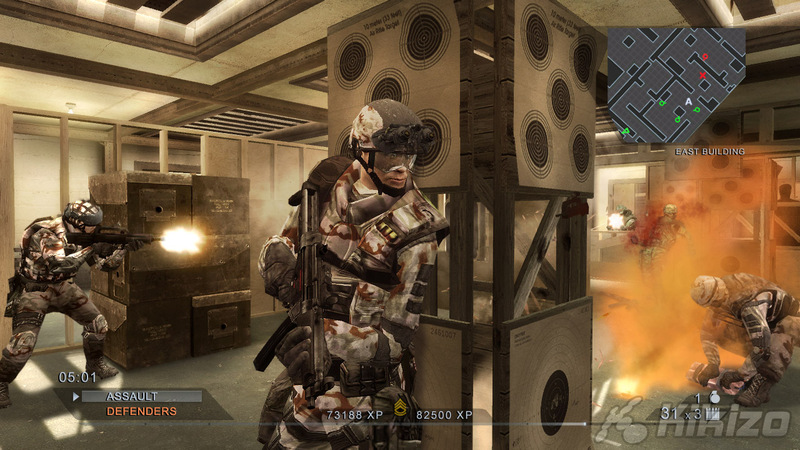 Kikizo: How do you feel about first-person shooters at the moment? Do you think they're going down a good path? 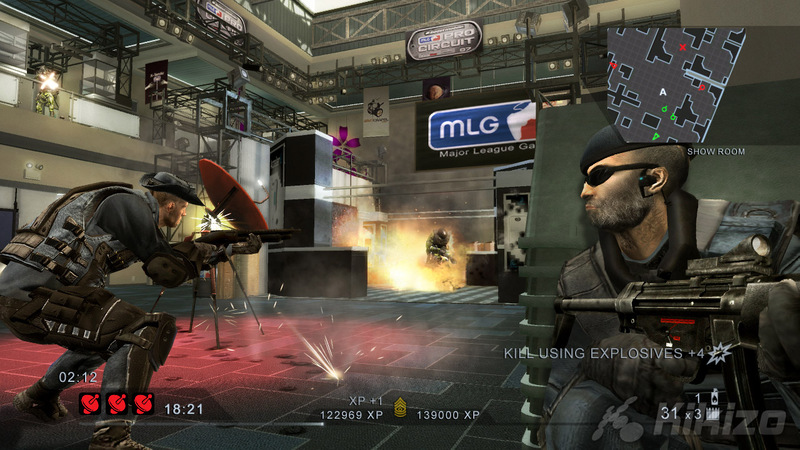 And where do you see Rainbow Six fitting in to the picture? Philippe Therien: I think there are two problems. There's a genre problem and there's a platform problem. Right now there are games that are very PC centric. There are shooters that are very PC centric, there are shooters that are very console centric. For example, Rainbow Six, Call of Duty, they're very console centric right now. I think that the problem that we're having is that people want to offers these games on PC because we still want to support the platform, but it's clear that when the game was originally meant to be a console game it doesn't translate all that well to the PC. I think that that's something that still needs to be resolved and people need to come to terms with that. Either it may have to be just console or just PC or we'll have to come up with a new way to make a game that fits well on both sides. I don't know yet. So that's one thing. The other thing I think is the genre. I think that we're pretty much the only tactical shooter left, other than SWAT, which hasn't really been out in a while. I think we're one of the only ones doing a shooter where you're in control, where you trigger the action, where you take the decisions, and we like that. We really like that because we're a clear alternative to other types of shooters. We're pretty comfortable with the way that Rainbow Six positions itself in the market right now. So I think that for us, that's really the position we're taking the license and we like it. Kikizo: You mentioned games on PC. 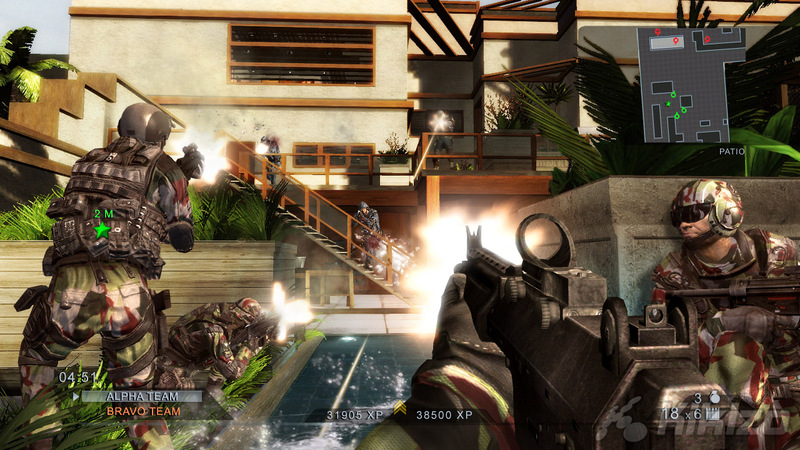 You've probably heard that the developers of Call of Duty and Crysis have spoken about how piracy is affecting their games. Are you having the same sort of issues? Therien: Absolutely, it happened with Vegas. People started playing Vegas online before the game was even out. So, obviously piracy is an issue. Kikizo: How do you see that changing? What can you see happening to really have an effect on that? Therien: You see, that's the thing. I think there's not really a lot of ways to control that. Piracy is always going to be there. You could say, Oh, the prices are too high, if only the prices were reduced. I don't think that's really the issue. I think it's really more an issue of culture. We've just developed our culture around piracy. Just about everybody has pirated something at some point, whether they knew it or not. I think it's just so accessible. Is it going to change? Honestly, I don't think so. It seems that the ways to pirate software, to pirate media, just become more refined as the protections become more refined, and it just annoys the consumer at the end. So I don't think it's going to change. The problem is very real though. Games that only come out on PC are really struggling. You're seeing games like Crysis that are amazing, that I've been thoroughly enjoying, and seeing how many people are downloading the torrents for Crysis versus how many people are actually paying for the game, it's just heartbreaking because these guys did such a good job. I have no idea if that's going to change or if there's a good way of making that change at all. Kikizo: Do you see yourself competing with some of the other first-person shooter developers or do you see yourselves really doing something unique? Obviously, at the end of the day, you're going after the same dollars in the same person's pocket. Therien: Of course we are competing because purely from a business standpoint, if the game's coming out on the Xbox 360, we're competing for a consumers's dollars. As far as the type of game, though, we really don't see the other games as a threat. Not because they're not good but because they're very different games. To me, if I feel like playing something like Halo, I would play something like Halo, however Rainbow Six gives me that alternative of playing a game that's a bit more of a thinking man's shooter where you've got tactical options and you control the team. To me, those are very different games. We are in competition but I don't think it's because of content. I don't think that we're trying to do things better than other shooters. We're just doing our own thing and our own branch and that's been working pretty well for us so far. Kikizo: I remember how Black Arrow was for a long time the most popular game on Xbox Live. Kikizo: And we just heard recently how Call of Duty 4 took over from Halo 3 as the most popular game on Xbox Live. What do you think your game is going to do to bring it to that sort of level? Therien: When you look at the success of a game like Call of Duty 4 it's easy to see why it's so popular. You've got a good story mode and a multiplayer that's really engaging, that uses a lot of the RPG elements that we pioneered with our Rainbow Six series, so it's really exciting to see that it's taken off so well. I think that by having a very strong coop gameplay that people can play on Live, along with our improved AI system, the ACES system, all the rewards are going to be more interesting online, so we really feel that it's going to be a very good competitor for all the top games on Live. Ultimately, if you look long-tern, Rainbow Six is among the top three most-played games played on Xbox Live ever in terms of licenses, so that's really a cool thing. We're really looking to go back into the upper positions with this one.